If your student is showing signs of decreased motivation, especially as spring weather draws near, be sure to address the issue before it’s too late. 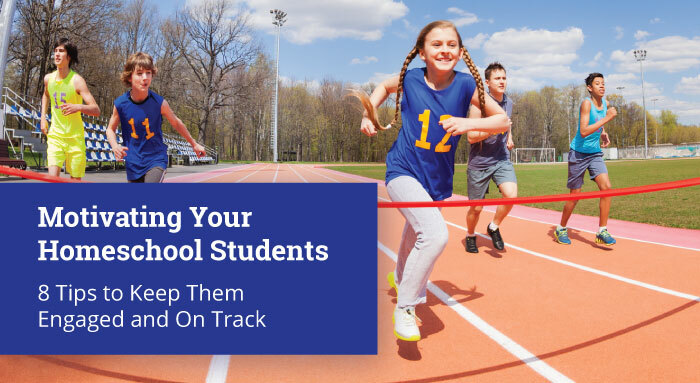 Review our tips and suggestions on ways to motivate your student. Before you know it, the finish line will be behind you and you’ll be ready for the next school year! Learning can be difficult in a negative environment. Therefore, if your student has not completed his work, avoid negative consequences. Instead, try using positive reinforcement as this can foster a healthier environment and overall love of learning. Instead of time-outs or loss of free time, compliment your student when he finishes her assignments. Provide praise for a job well done and offer encouragement if he is struggling. As humans, we all need positive feedback. Provide it often and watch as your student’s eyes, brighten and his motivation increases. Sometimes letting your student know that you understand his emotions helps him move through difficult times. Phrases like, “I understand you’re having trouble focusing right now” and “I see that you’re having a difficult time starting your assignment,” let your student see that you’re aware of the issue and that you understand her struggles. Lack of motivation can often occur when a student is overwhelmed. Sometimes a child can feel like they’re standing at the bottom of a mountain and they’re not sure how to take the first steps. If this is the case, break items down into small steps. Provide your student with a list of three small items to do first. These tasks can be as small as gathering the correct supplies for an assignment or writing his name on the paper. Once your student has finished the three items on the list, offer words of encouragement and then provide him with another list of three small items. Continue this process until your student is in a positive frame of mind and ready to tackle additional work on his own. While younger students enjoy prizes boxes, small toys, and special rewards for finishing work, be sure to use these rewards sparingly. If rewards are effective for your younger students, don’t forget to include phrases like, “Wow! You must be so proud of yourself!” and “I bet you’re happy you did such a great job”. Phrases like this help younger students develop pride in their accomplishments, so they develop intrinsic motivation. As your younger students age, be sure to transition away from tangible rewards like prizes and really focus on their sense of self-motivation. After all, college professors don’t usually have a pirate’s chest full of goodies in the lecture hall! Do consider offering family outings and special trips as rewards at the end of the week or a few times per month. Plan trips to local museums, get tickets for a concert, go to a movie, visit a water park, attend a sporting event, or even go visit special friends. Put these items on your calendar and remind your students that you will attend these events as a family, providing that everyone has completed their assigned school work. 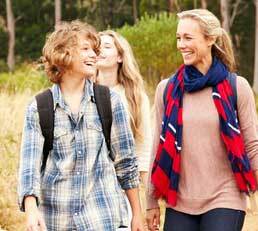 Sometimes these family outings are a great motivator for students and once they’ve had a break from their normal school routine, motivation levels are increased when they return. If your student lacks motivation and has trouble focusing, take a break and spend some time outside. Ten to fifteen minutes of running, jumping, or walking can burn off extra energy and increase concentration. Everyone needs an occasional change of scenery. Pack up the books and spend an hour or two doing schoolwork at the local library, a coffee shop, or at a picnic table in the park. Sometimes it is refreshing to have a change of scenery and atmosphere. Nothing motivates a student more than reviewing his progress and accomplishments. If your student is in a slump, be sure to schedule some time to review pieces of his past work together. Provide praise for his efforts and point out his strengths and progress. Encourage your student to continue to produce quality work and talk about future success. Teenagers especially do not like being told what to do. Allow your middle or high school student to plan their day. Encourage them to budget their time but give them the flexibility to decide on the order and length of time they will spend on assignments. Giving students a sense of ownership helps motivation them and builds their self-esteem. It’s also great preparation for college and entering the workforce. While it is normal for motivation levels to fluctuate throughout the school year, it is important to address the topic before a student falls behind. Don’t forget to have an open dialogue between yourself and your student. Discussing the issue and brainstorming on solutions can lead to learning motivational skills that will assist your student now and well into the future. If you need help motivating your homeschool student or help with teaching concepts or strategies, please do not hesitate to contact our team of experienced Education Counselors. Email us at EdCounselors@CalvertServices.org or call us at 1-888-487-4652 (option 2).